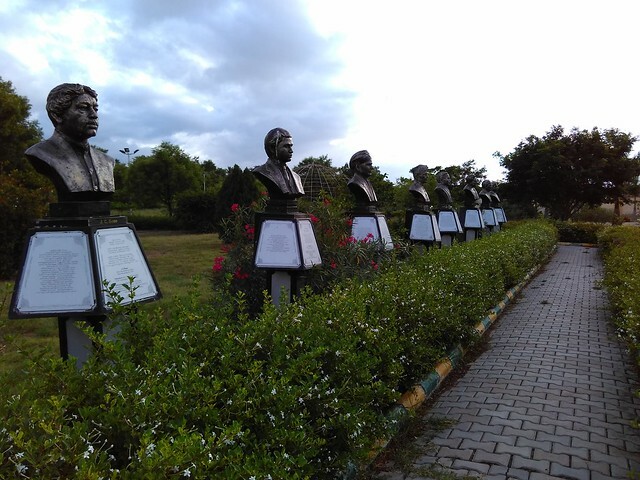 Regional Science Center, near CODISSIA Trade Center, Coimbatore, Tamil Nadu was a pleasant surprise. 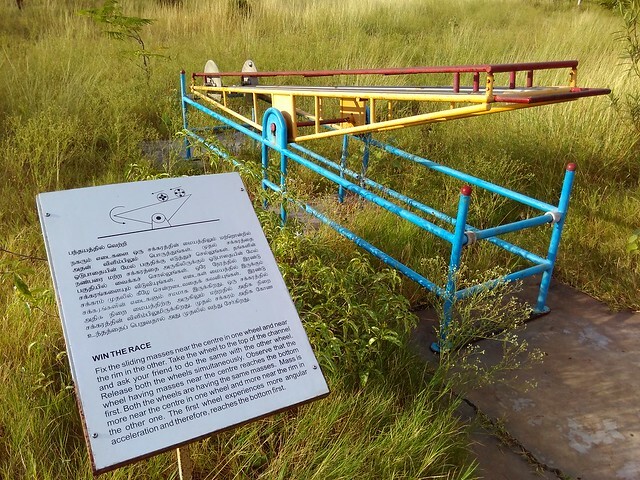 I went to attend a Wind Energy expo in CBE and saw the board for this museum/park on the way. Curious, I decided to step in and explore. I am glad I did. 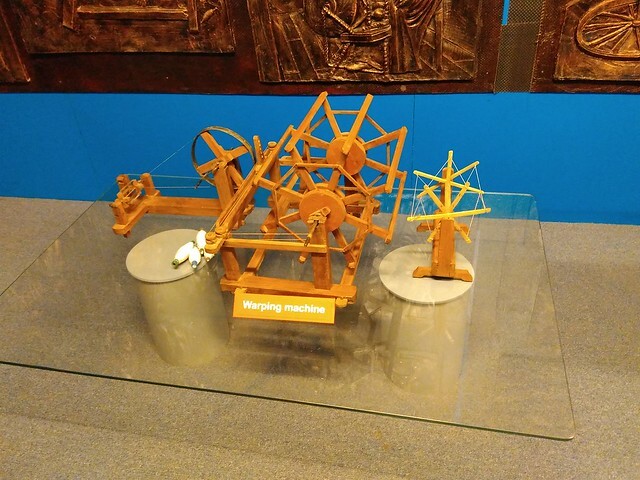 This science museum is like Visweswaraiah Museum in Bangalore. 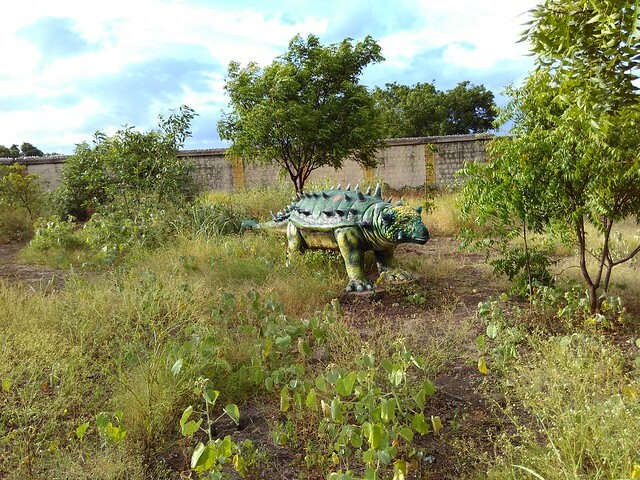 It contains scientific exhibits and demonstration models. There are four galleries within the building. 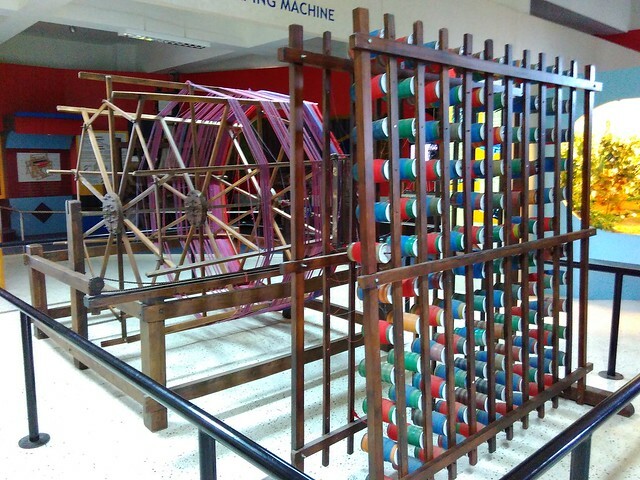 The first gallery shows the technologies used in the textile industry, both historic and present times. The above pic shows a handloom machine. The below pic shows a Warping machine. 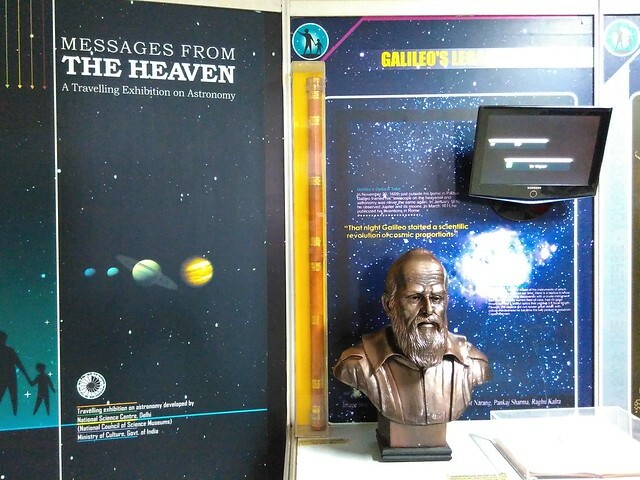 The next gallery was about the history of Astronomy — right from Galileo to modern day astronomers. The third gallery demonstrated scientific principles. It was supposed to be interactive but when I went to touch a button, the security asked me not to touch any! Some of them were not working. 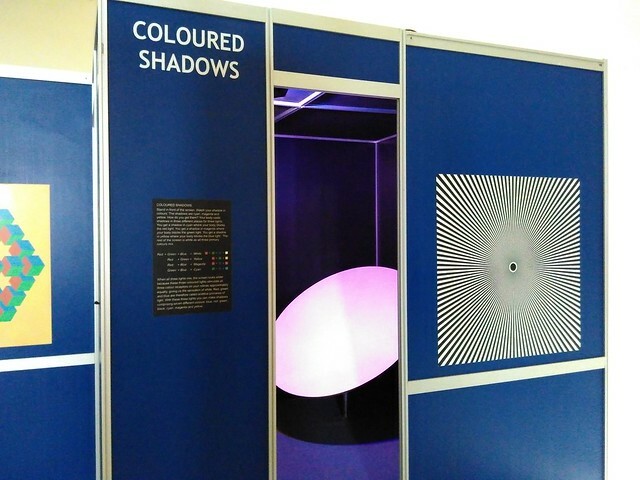 There were detailed explanations next to each exhibit for people to read and learn. The next gallery had many engineering exhibits and explained the technological principles behind each. The above picture, for example, shows an airplane engine! The working principles of both simple and complex objects was available. Since I went late in the day, I couldn’t read much. You could go in the morning and plan to spend around half-a-day. 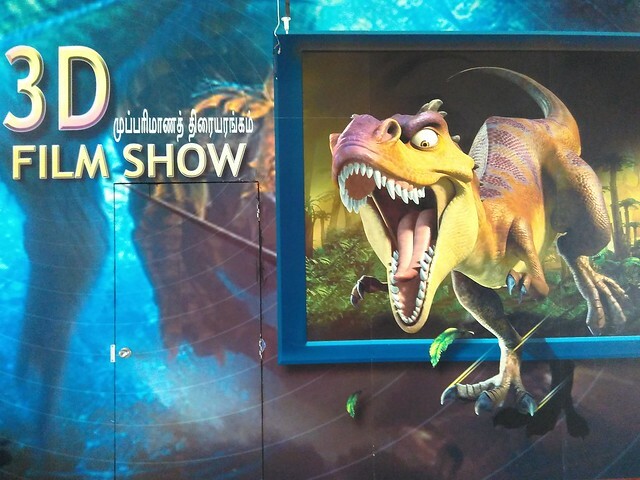 There is also a 3D theater where they show a short film about prehistoric-times. I think the ticket costs Rs. 15, in addition to the Rs. 15 entry ticket cost. The staff were helpful and offered to show me the movie, although I was the only one there! The museum works from morning 10 A.M. to evening 5:30 P.M. I really want to explore Coimbatore one day and will check this place for sure. The park seems like an education center that brings amusement as well. I like the colorful handloom section and you got wonderful photos from the mobile. But i think not many people will visit this place to be left clean. 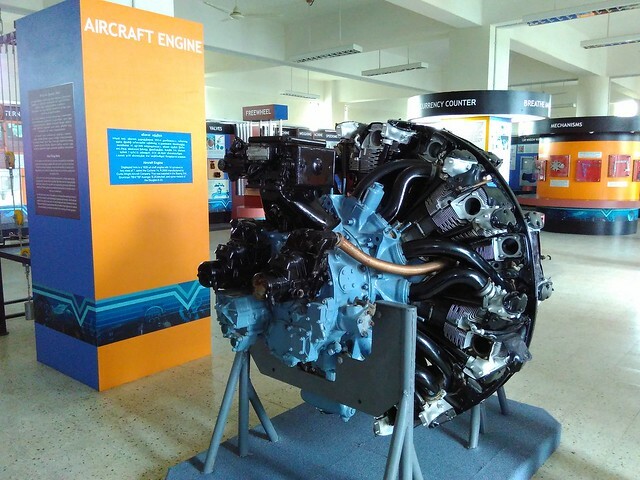 I have seen aircrafts and engines in HAL Musuem, Bangalore. Wish I had visited this place. 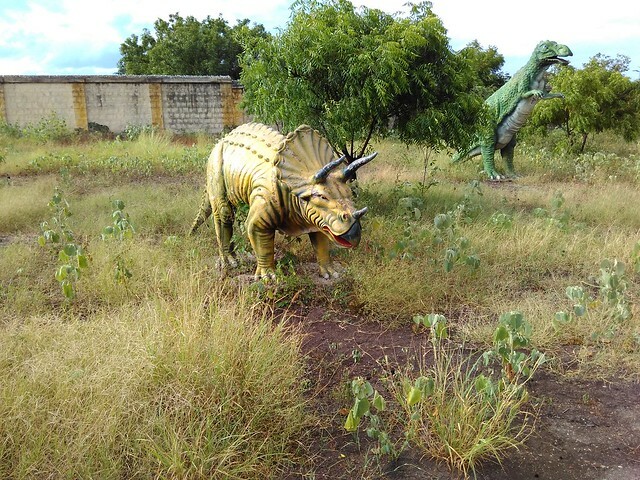 I would have enjoyed seeing the pre-historic park. 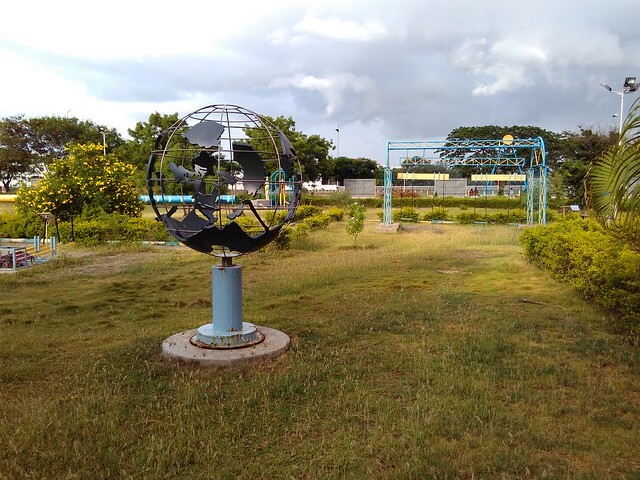 Thanks for sharing info about this Science Center in Coimbatore. And, thanks also for these beautiful photos. About 10 years ago, we stayed in Coimbatore for 6 months and we enjoyed our stay very much. I have stayed there for 1.5 years before a few years and I liked it too. This place has the perfect climate and the small-town feel to a (relatively) large city. Sounds like a great place to explore and learn. 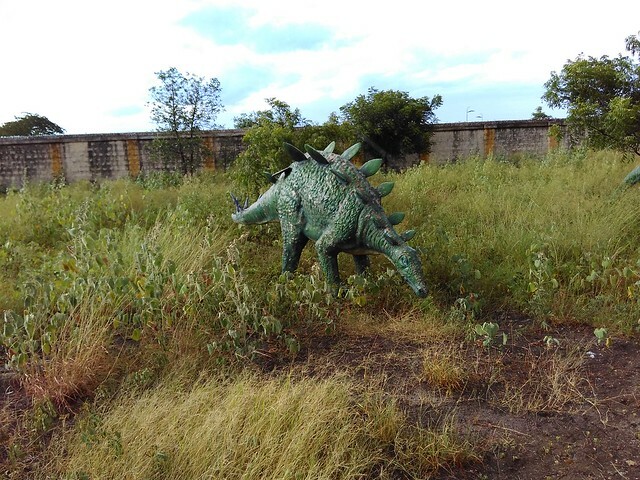 I think the pre-historic park would be a big hit with the kids! Only if more parents visited this place with their kids! This place is surprisingly empty. is there allowed for school students only?